Palestinian American, Dr.Farouk Shami arrived in the U.S. in 1965 to become an inventor, educator and entrepreneur. In 1986 he invented the first ammonia-free hair care system, securing his first patent. He founded Farouk Systems, Inc., an environmentally responsible company that manufactures CHI and BioSilk hair and skin products, exporting to more than 150 countries worldwide. With attention to the health and safety of hairdressers and their clients, Shami collaborated with NASA scientists to produce ceramic thermal tools, hairdryers with low electromagnetic fields and a line of hair care tools that features nano silver. In partnership with LG Electronics, Shami is developing a new technology that takes the guesswork out of hair coloring. He holds 14 U.S. patents and 10 international patents and has 23 more pending. Shami has lectured at Harvard University’s Kennedy School of Government Latino Leadership Initiative, as well as the University of Texas and the University of Houston. He has delivered commencement speeches at the University of Houston Downtown, Sam Houston State University, North American College and the American Friends School. His outstanding achievements and invaluable contributions to the academic and cultural development of the world-wide beauty industry earned him an honorary Doctorate of Beauty Art from the Council of Graduate Schools at Seo Kyeong University. He connected Seo Kyeong University with the University of Jerusalem where a new department for Beauty Art will begin this spring. Shami starred on Celebrity Apprentice and has judged Miss USA and Miss Universe pageants. In memory of his late father, Sheik Mohammed Shami, Shami founded a school specializing in science and technology to educate young Palestinian women. In honor of his late brother, Dr. Jamil Shami, Shami has established scholarship funds for gifted Palestinian students in financial need. He has made contributions to Beir Zeit University’s School of Business and the American Friends School in Ramallah. He partnered with the U.S. Agency for International Development (USAID) to put street lights in his hometown village of Beit Ur al Tahta. Shami’s board appointments include the National Defense University Foundation, the Greater Houston Partnership, Houston’s Better Business Bureau, the American Task Force on Palestine and the American Arab Anti-Discrimination Committee. 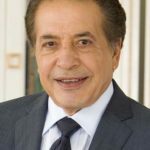 He is the recipient of numerous awards: Legend Award from the International Salon/Spa Business Network; Beauty Maker Award; Arrival Award from the University of Houston Law Center; Entrepreneur of the Year from Newt Gingrich; Apollo Award for being Green; Ameristar Award; Businessman of the Year from the American Arab Anti-Discrimination Committee, the Arab-American Cultural and Community Center and the American Task Force on Palestine. He has also been honored by St. Jude Children’s Research Hospital and the American Heart Association. The Shami family has enjoyed a lifelong relationship with the Leonard family since 1955. Farouk and his family shared a home with Dr. Graham Leonard in Ramallah. Dr Leonard was the Pastor of the Friends Quaker Meeting and a teacher of History at the Friends Girl School, Ramallah. His home was across the street of the Friends Boy School making it easy for Farouk and his brother, Jamil, to attend school. During these years of shared meals and experiences the families bonded and are very close to this day. Mohammad Salhoot was born in southeast Jerusalem in 1943. He attended high school in the old city of Jerusalem, where he was active in sports. He traveled to Saudi Arabia in 1962, where he taught elementary school in a small village. His goal was to save enough money to come to the US and attend college. In 1967, the Six-Day War broke out, which resulted in the borders being closed thus preventing him from returning home. With $2,000 in his pocket, he came to the US to attend college. He attended the University of Houston School of Engineering, graduating in 1972 as an electrical engineer. Mohammed worked as an engineer for four years. An entrepreneur by nature and driven to start his own company, his first enterprise was, Al Ajinah Gulf States, a joint venture doing electrical engineering in Saudi Arabia, where he held the position of president for four years. His first solely-owned company was Base Supply, which sold wholesale industrial supplies. Mohammad Salhoot is also a co-founder and past president of the Arab American Cultural & Community Center (ACC) in Houston, Texas. In 1995, when the goal of developing a center was gathering momentum, he along with three other leaders, signed the promissory note enabling the purchase of the land on which the ACC was built. 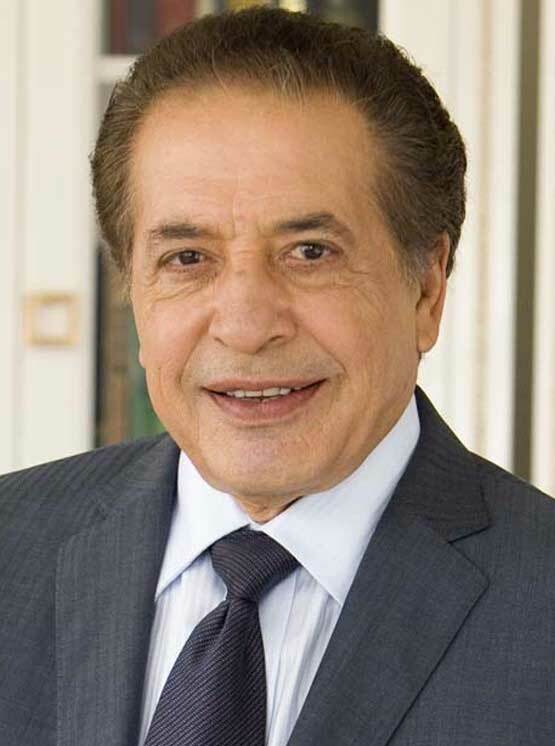 Mohammed established Cashbanc, Inc., a very successful 15-branch retail financial services business, from 1984–2000. It became the largest independent check cashing outlet and the largest Western Union agent in Houston. To advance the business and respond effectively to political issues, he co-founded and was the first president of the Texas Association of Check Cashiers, the first of its kind in the state. 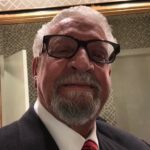 Since the year 2000, when he sold Cashbanc, he has concentrated on real estate investments and developing small shopping strips in Houston and Albuquerque. Mohammed is part of several Arab American organizations. 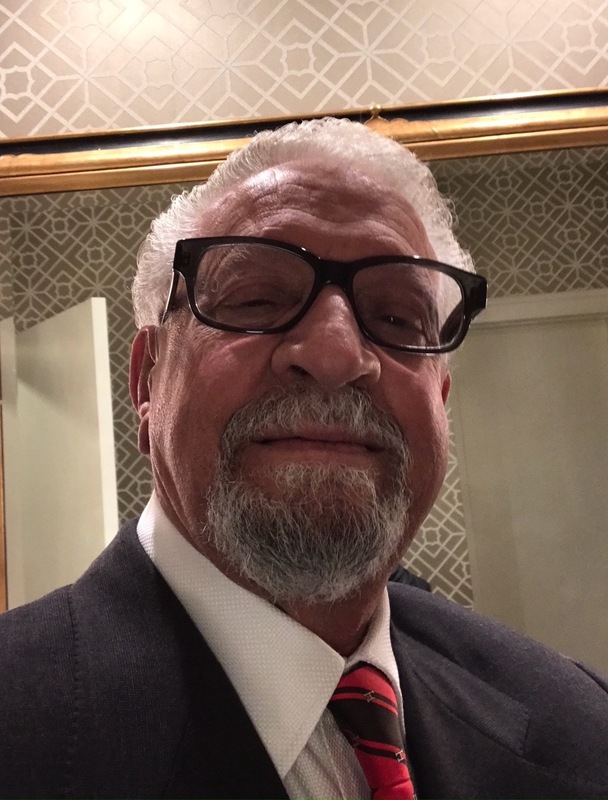 He continues to hold a significant role in ACC, provides leadership in Al-Awda, and he serves as vice president of the Arab American Secular Association founded by Wagih Abu-Rish. Mohammed is involved in several non-profits. He and Joyce are active in Creativity for Peace in Santa Fe, NM, which brings Palestinian and Israeli teenage girls from the Middle East to a peace camp each summer, where they learn about each other. They are part of a long-term program when they return home. The mission is to grow the next generation of women peacemakers and leaders. Mohammed and Joyce are active in the New Mexico Governor’s Mansion Foundation and Christus St. Vincent’s Hospital Foundation in Santa Fe. They are also active in the Rothko Chapel and its mission of spirituality, human rights, and art. Fred Rogers has been the vice president and treasurer of Carleton College since August 2004. 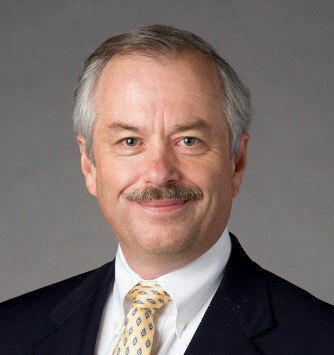 Over the past 30 years he has served as the financial officer in higher education at Carnegie Mellon University and Cornell University before joining Carleton College. After graduating from Carleton College in 1972 with a BA in mathematics, he received an MS with distinction from Carnegie Mellon’s Heinz School of Public Policy in 1974 and began his career at Carnegie Mellon in Institutional Research. He has been a leader and innovator among university business officers for 25 years with direct experience in the full suite of campus administrative and business responsibilities. A strong believer in collaborative work and mentoring, Rogers has been a presenter at many professional meetings and organizations and served as the director of the Cornell/EACUBO Administrative Management Institute for 21 years. Fred has served on a number of Boards of Directors including the Cornell Research Foundation, Tompkins County Foundation, United Way of Tompkins County, Wheeling Pittsburgh Steel Corporation, EACUBO and the Council of Government Relations (COGR and as a trustee of the Lebanese American University. He serves as the chair of the NACUBO Sustainability Advisory Committee and is on the Board of the Private College 529 Plan. Fred is the vice president of the Northfield Economic Development Authority and a member of Rotary International. Rogers has written or co-authored a series of white papers with the Commonfund Institute on the subject of endowment management, payouts and giving that are available on the Commonfund website and serves on the NACUBO / Commonfund Endowment Survey advisory board. 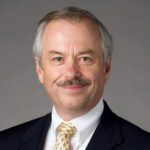 In 1998 Rogers received the Alumni Merit Award from Carnegie Mellon University and in 2013 he was named the NACUBO Distinguished Business Officer of the year. Rogers is married to his Carleton classmate, Jenny Hartley (’72). They have three grown children and one grandchild and live with their dog and three cats on five acres outside of Northfield. They are known among students as generous hosts for international students who have no home in the U.S.
Neeran Saraf Neeran is a senior IT consultant with over twenty-five years of experience in the development and implementation of enterprise-wide IT strategies, architecture and systems. She is a certified enterprise architect and for the past ten years worked with various size organizations assessing their technology needs and developing a technology strategy that is aligned with their business objectives and needs. Ms. Saraf consults in the private and public sectors, associations and non-profit organizations (local and international). She has researched, designed, implemented, and managed IT projects in education, finance, microfinance, telecommunications, public health, and professional and workforce development. Achievements in the design of business applications such as registration systems, assessment, monitoring and evaluation systems, and knowledge management and collaboration systems have been recognized and awarded by industry and professional associations. 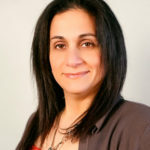 Her strategic IT planning is supported by decades of experience working with executive teams and management, at headquarters and subsidiaries or field offices, in defining system requirements and relevance among diverse groups, and in the implementation of existing and emerging information technologies to deliver efficient solutions. Neeran has a solid hands-on experience with various technologies, systems design, data modeling, network architecture, and database systems. 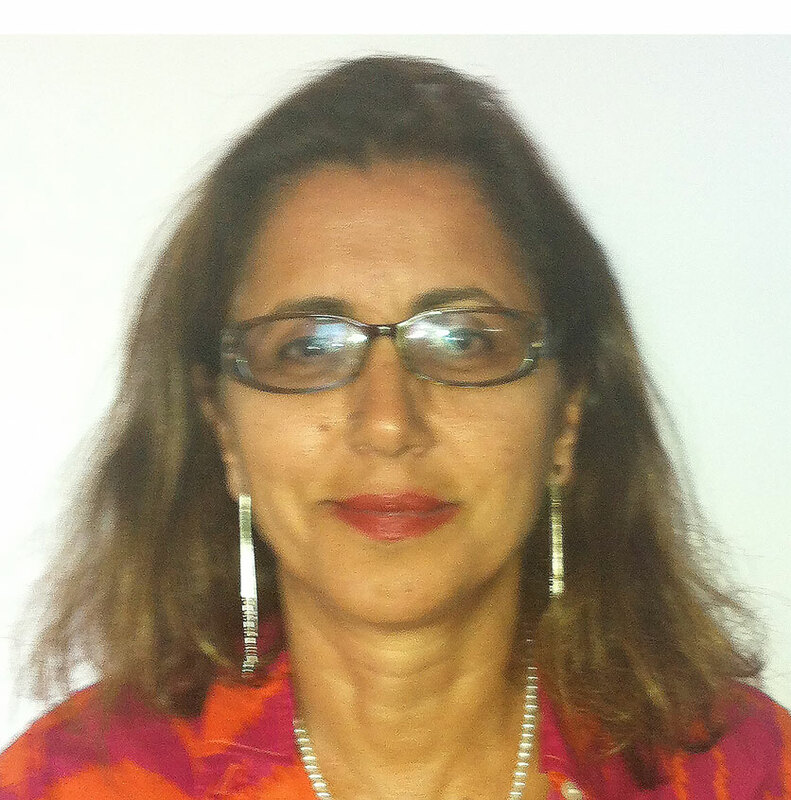 Ms. Saraf serves on a number of technology associations and other boards. She has presented in various conferences about topics including Monitoring and Evaluation, Knowledge Management and creating a knowledge organization. Ms. Saraf holds an undergraduate degree in Computer Science Engineering from Imperial College, University of London and a master’s degree in computer science from George Mason University. She is in the process of obtaining a masters degree in Information Architecture and Knowledge Management from Kent State University. She holds a U.S. patent for the architecture of a Shared Registration system for registering domain names (patent number 7299299). 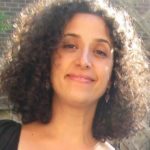 Diya has published papers in Life Writing, Frontiers: A Journal of Women Studies, Pacific Coast Philology, Image and Narrative, Women’s Studies Quarterly, Eugene O’Neill Review, The Journal of Lesbian Studies, and MLA’s Approaches to Teaching the Works of Assia Djebar as well as anthologies on Anglophone Arab writers and women writers. Her research and scholarship center on Arab women writers, autobiography, Islamic feminism, comparative literature, and postcolonial translation with a particular interest in Arab women writers’ narrative strategies, life writing, and the cross-cultural translation of autobiography. Recently, Diya has published fiction in Journal: New Writing on Justice (her short story “The Love Hoard” is nominated for a Pushcart Prize), poetry inStorm Cellar, and creative non-fiction in Eno Publisher’s 27 Views of Greensboro and forthcoming in Bad Girls of the Arab World. Her short memoir “Bad Girl” won the Honorable Mention Award for Creative Nonfiction in the Center for Women Writers 2015 International Literary Awards. 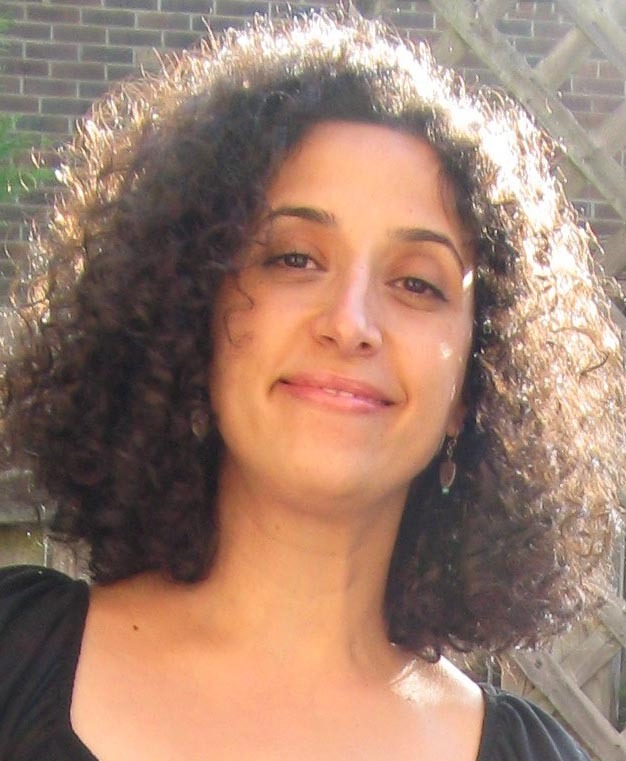 Her public essays, which have appeared in Jadaliyya, The Feminist Wire, and The Electronic Intifada, focus on the intersection between identity and vocation. ces and given public lectures at universities here and abroad. Most recently, Abdo founded the Every Campus A Refuge initiative which advocates for housing Syrian refugee families on college and university campus grounds. Hadeil M. Abdelfattah is currently an educator in the Chicago Public School system. Her roles have consisted of being a classroom teacher, a trainer, teacher evaluator, literacy coach, and assessment coordinator. Having worked in a diversity community provided her with hands-on experience with supporting students excel not only academically, but artistically, socially, and emotionally. She acquired her Doctorate of Education in Administration and Supervision in Education from National-Louis University in 2013. 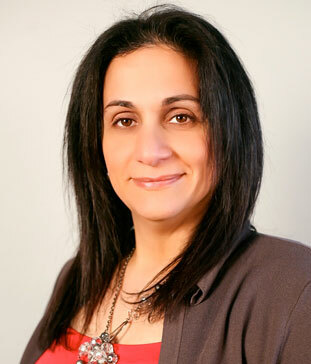 Hadeil’s dissertation was an auto-ethnographic study which combined her personal journey growing up as a second generation Palestinian in an urban school district, while also researching the assimilation and accommodation process that many immigrant students experience worldwide. With over 20 years of educational experience, Hadeil realizes the direct correlation between academic success and upward economic mobility. She first hosted a foreign exchange student nearly a decade ago and continues to offer her home to Palestinian youth studying in the US thousands of miles away from their homeland.